Funny story: we had some informal talks with the Melbourne International Film Festival earlier this year about possibly doing a show in conjunction with them, much like our live Sydney Film Festival show in June. For various reasons, we were unable to make it work, and so we set about pursuing some of the other names on our overly-long wishlist of guests. 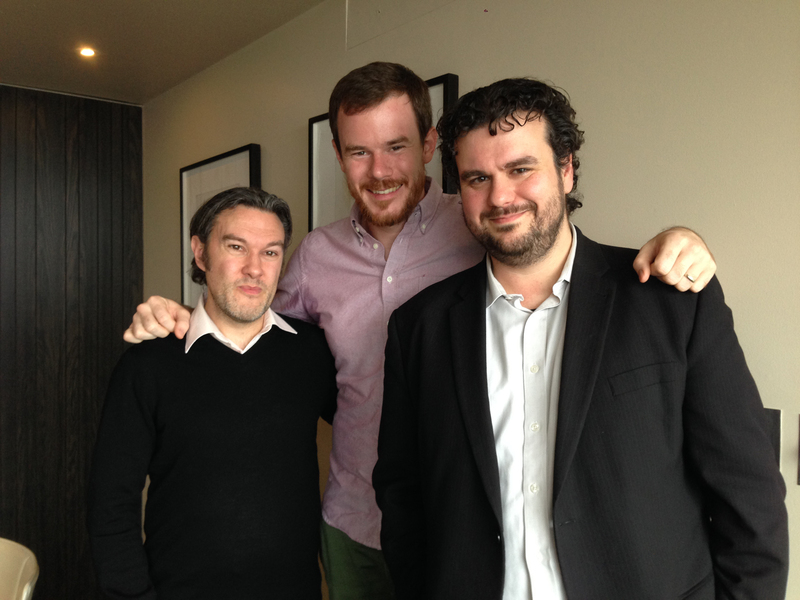 Joe Swanberg, director of last year’s outstanding Drinking Buddies, immediately agreed to be on the show. We were pretty excited about this, and started organising a time to record the US-based filmmaker via Skype. So, entirely by accident, we ended up doing a show with MIFF. The festival was excellent about our accidental booking of their guest, and slotted us in to Joe’s press schedule. He was out here to introduce and promote his latest film, Happy Christmas, starring Anna Kendrick, Melanie Lynskey, Lena Dunham and himself. At first, we thought his choice of Paul Mazursky might have been a sentimental one given Mazursky had passed away only a month earlier, but interviews such as this one from January of this year proved that Joe has been extolling the virtues of Mazursky’s films all along. For us, Mazursky’s filmography hit at just the right time. After several months of being neck-deep in Robert Altman films, we were feeling massive Altman withdrawal symptoms at Hi4H HQ. So it was fitting to find Mazursky’s films – particularly his early ones – had a real Altmanesque feel to them: long, observational takes and a strong focus on performance, not to mention a roster of Atlman actors including Elliott Gould, Donald Sutherland, George Segal and Michael Murphy. That’s not to suggest Mazursky was just Altman Lite; he definitely had a style all his own. The work he did throughout the 1970s feels so groundbreaking and original and exciting, it’s difficult to understand why so many of his films have slipped out of the conversation. Joe had a chance to talk with Mazursky on stage and the insight he brings to a filmmaker whose name should be as fondly remembered as all the greats of the 1970s is incredible. If you haven’t seen any Paul Mazursky films, check out our cheat sheet here, then listen to the latest episode of Hell Is For Hyphenates. Thanks to the Melbourne International Film Festival for their wonderful assistance, and to Joe Swanberg for his generosity. This entry was posted in blogs and tagged joe swanberg, melbourne international film festival, paul mazursky on September 3, 2014 by The Hyphenates.